If you’re in the business of commercial real estate, you know the importance of keeping things running smoothly in the background. Regular maintenance is less interruptive and less expensive than replacement, and having a tight checklist of what to turn around in between tenants is critical. In Texas, in particular, keeping the HVAC in good repair and able to cool your building quickly is a key factor in your tenants’ decision. Here is a checklist of regular maintenance and tips to keep on hand as you cycle through your buildings. Find a reliable HVAC expert who performs in-depth and procedural inspections. HVAC units last much longer if they are routinely inspected for small problems, and replacing short-lived parts like filters and belts keep the unit from overworking. Your expert should also lubricate shafts and bearings, check drains, ducts, and dampers for vent obstructions, and check all parts that are routinely under stress for cracks or wear. If you have an expert check on the long side of the recommended time range, make sure you or an employee replace the air filters on the short side of the recommended range. Regularly replacing dirty filters will lower energy consumption by up to 15% because your unit will be able to run more efficiently and cool the building in fewer cycles. Keep the nature of your tenants’ business in mind when deciding the schedule: dust will clog up the filter and the evaporator coil quickly, so manufacturing businesses, printing companies, and similar businesses mean you need to have the filters replaced more often. No matter what schedule of maintenance you create for your commercial buildings, the principal goal should be maintenance and repair instead of replacement. While you might invest in new units if you buy an old or badly maintained property, you can protect your investment for years with a consistent schedule. 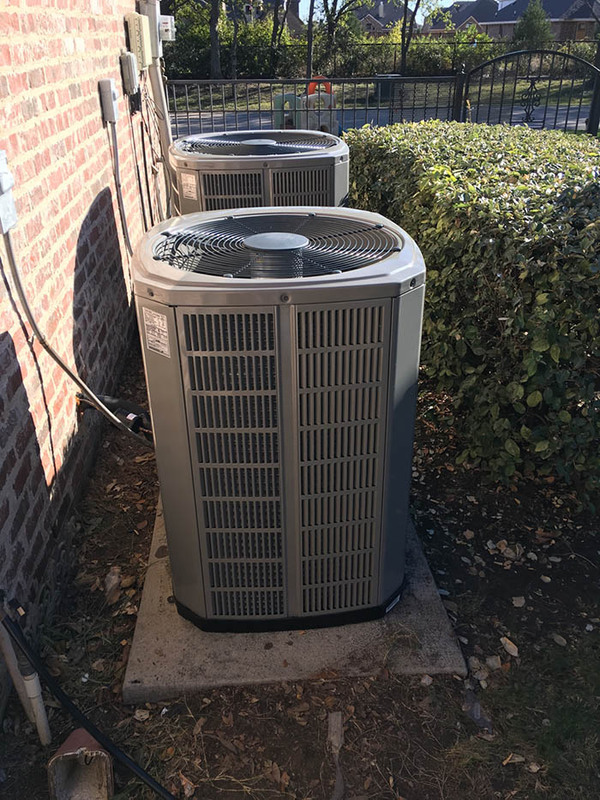 Contact Texas Air Tech here to schedule an inspection of your commercial A/C unit or to read more about how to maintain your unit.